This entry was posted in Gun Cartoon, Humor by Rolf. Bookmark the permalink. 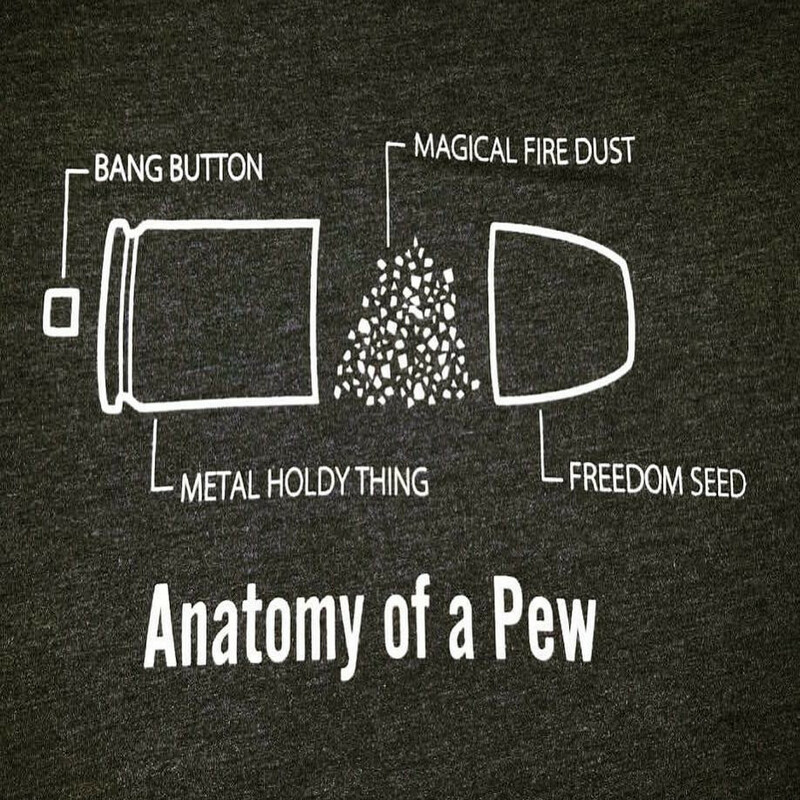 Could be easily integrated into any basic firearms intro class. OK, I chuckled out loud. That’d be a COL then. I’ll definitely have to steal that. 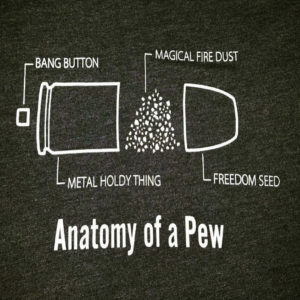 In some very old text I found the black powder, which was poured down the barrel, referred to as “medicine” by one who’d never seen a firearm before, but “magic fire dust” works too. Hi! Thanks so much for sharing! I’m glad you like the shirt design, and thanks for linking to us. I really appreciate that. We’ve had a rash of imposters lately.